Posted December 6, 2018 by Denise Murchison & filed under . 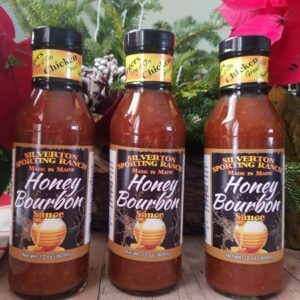 Honey Bourbon Sauce is not your typical barbecue sauce- it’s so much more! It’s gluten free with a bit of smoke, garlic, brown sugar blended together with honey bourbon. It’s great on steak tips, grilled pizza, meatloaf, burgers, nachos salmon and more!